Your clients deserve comprehensive, unbiased advice. See how the SSP can help raise your practice to new heights.  The Society of Settlement Planners (SSP) is the professional trade organization for those who engage in settlement planning. The SSP is focused on building the profession of settlement planning through regular collaboration of its members and annual conferences. SSP members include settlement planners, structured settlement specialists, attorneys, product providers, and other professionals. Settlement planning focuses on helping injury victims meet their needs and goals after they receive a legal settlement. SSP members work with the injured party to create a comprehensive and integrated settlement plan. Learn from industry leaders at the SSP Annual Conference. Watch our video to learn why you need to join the Society of Settlement Planners. To learn more about joining the SSP or to renew your membership, click on the button below. Sponsors lead the way in strengthening the settlement planning profession.